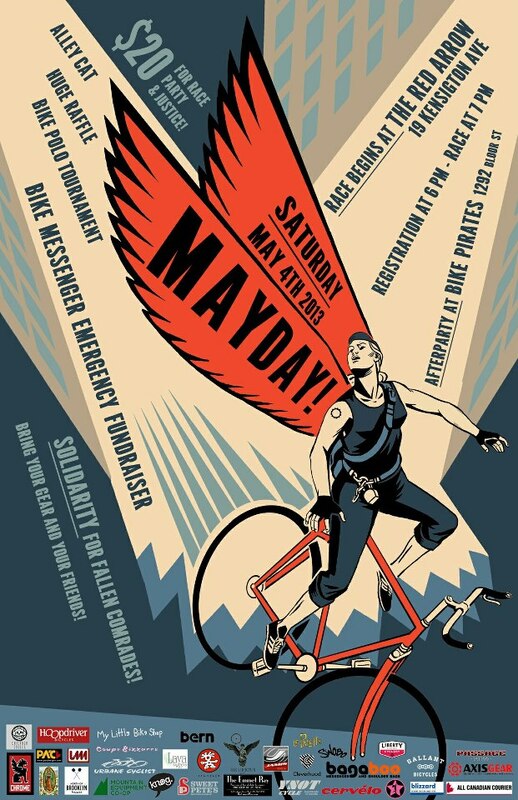 It’s time once again for the 4th annual MAYDAY Alleycat fundraiser for the Bicycle Messenger Emergency Fund (BMEF). This year’s race takes place in Toronto on Saturday May 4th. 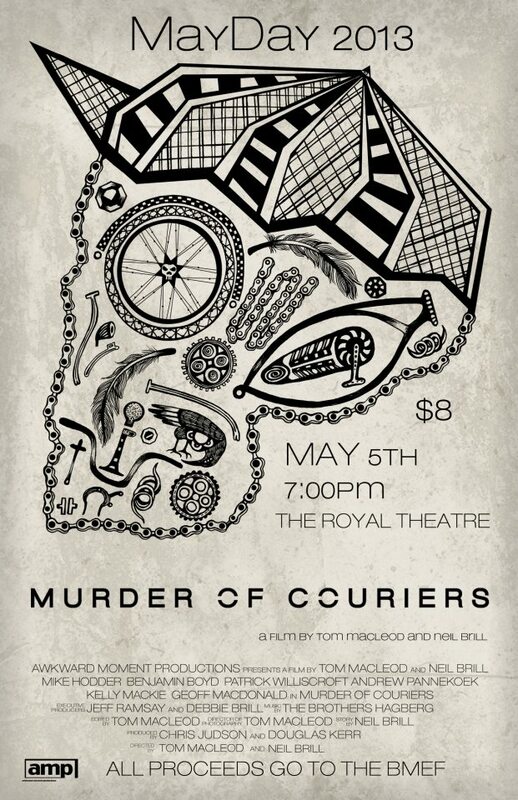 This year’s event includes the long awaited Toronto premier of the new Vancouver messenger film, “Murder of Couriers” on Sunday May 5th at the Royal Theatre. proceeds from the premier will also benefit the BMEF. Visit the facebook event page for more information. The Bicycle Messenger Emergency Fund is a 501 c3 non profit public charity organization that provides emergency compensation to bicycle messengers who are hurt on the job. Currently the BMEF allocates a $500 emergency cheque to help messengers anywhere in the world during the first week of injury. This provides a boost, to both the financial and the mental/emotional state of the injured messenger. The goal is to help the injured cope and recover. “Murder of Couriers documents the lives of a group of bike messengers in Vancouver over a nearly three-year span. This feature length film was made by couriers, about couriers, for a wide general audience. The film offers the chance to experience a lifestyle that not many get the privilege to enjoy: the love and hatred for the roads we live on, the chaos of Friday night bike polo and alley-cat races, the affect of the party lifestyle, the poverty associated with the job, the inevitable pitfalls that come with living in the moment – and the individuals who endure it all. Toronto messengers expect a large turnout for both events with messengers coming from all over to raise funds for the BMEF.